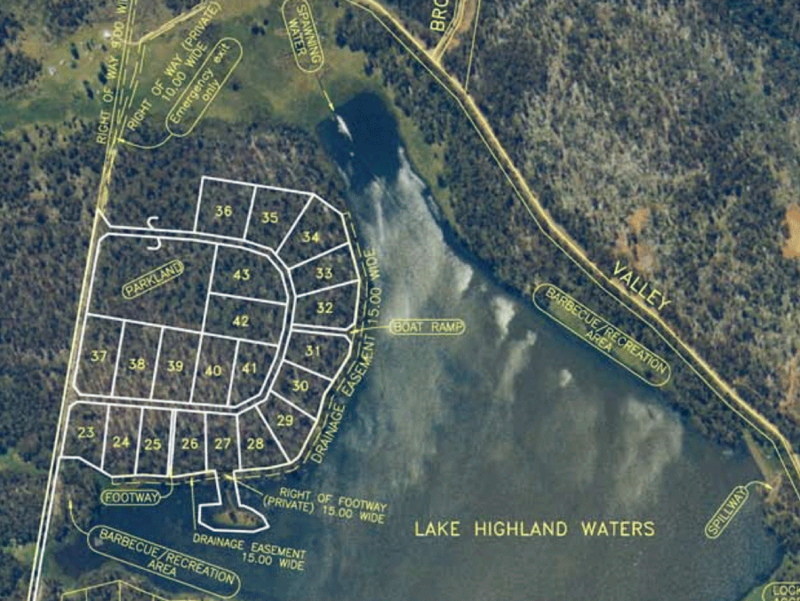 Only six sites at Highland Waters remain for sale – averaging 2 1/2 acres in size – of which 2 have premium waterside positions. Aspect: South East with gentle slopes to Lake. This lot has over one hundred metres of frontage to the foreshore reserve. 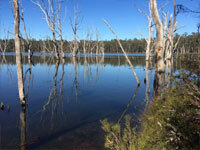 It has good fishing waters with a foreshore aspect to dead gums within the lake. These could be of particular interest to bird lovers as the trees offer ample opportunities to place nesting boxes for ducks and other wildlife. 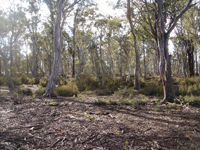 This lot is cleared of all scrub and bushland has a gentle 4degree slope to the foreshore reserve. This lot has the most preferred fishing shoreline of 104 metres. Aspect: North with gentle slopes to Foreshore Access. Again this is a magnificent large allotment with a sunny aspect overlooking a shallow grassy valley. It is only a minute or two walk to the lake shore. 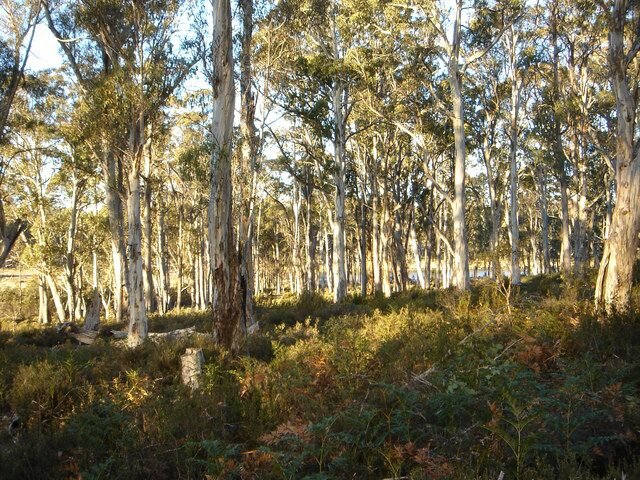 Tall eucalyptus trees are prominent and the entire block could easily be developed into a parklike environment. It has many attributes. Aspect: South with gentle access to Pauciflora Drive. 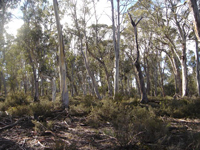 This lot is adjacent to many hectares of natural bushland. 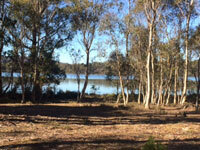 From the road the aspect ideally suits an A-frame type of lodge situated amid beautiful white eucalyptus trees. From the road this allotment again presents an ideal site for an A-frame style home set amid tall white eucalyptus trees. The block has sufficient depth to suit variable house-site locations to maximise a parklike environment. A similar allotment to lots 37 to 39 with limited views of Lake Highland Waters, beautifully treed and a depth of over one hundred and forty metres. There is great scope for development.